Need a warmer layer but still need to train? Our Canterbury Crew from the Black Caps training range has you covered, providing extra warmth without weighing you down. The Canterbury Crew from our 2019 Black Caps training range offers protection against the elements without compromising your training performance. 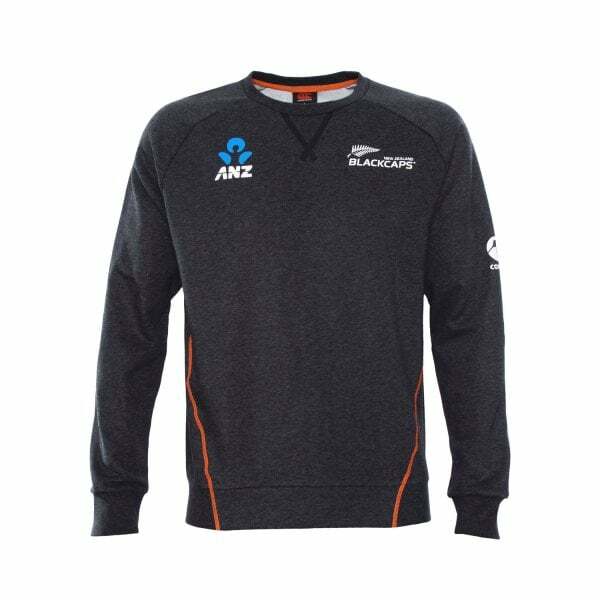 Ideal for outdoor workouts, this quality crew is also badged with the Black Caps insignia, identifying you as an official supporter of the NZ team. Made from warm, comfortable cotton and polyester brush back fleece, it’s the ideal throw on when the weather gets chilly, but it’s still light enough to get active without breaking a sweat. Featuring the NZ team colours with an extra pop of orange, this quality crew will become your favourite go-to when the temperature cools down but there’s still work to do.